The point of this exercise is to fold the hands you think you should fold, explains @TheTommyAngelo. 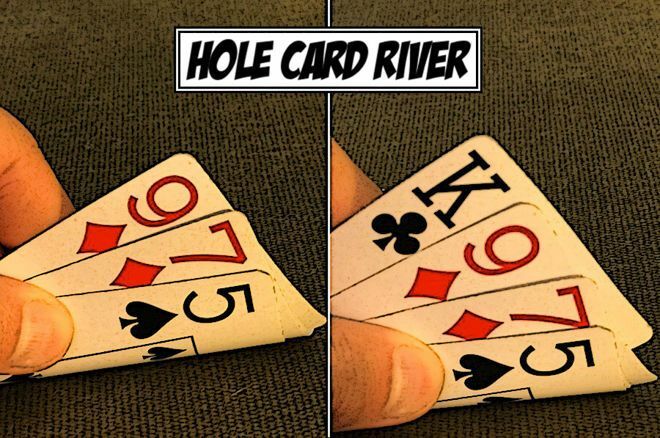 "Hole Card River," a new game within the game to help w/starting hand selection from @TheTommyAngelo. "The waiting is the hardest part." 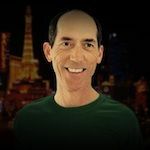 Anyone who conducts the Waiting for Straighters experiment when playing no-limit hold'em or pot-limit Omaha will find themselves doing a lot of waiting. Hole Card River is a game within a game for Omaha players. It's a way to pass time and make money. Think of it as a game with benefits. In Waiting for Straighters, I categorize PLO starting hands into three groups: hands with a pair, hands with an ace, and all other hands. Straighters are a subset of "all other hands." A straighter is an ace-less, pair-less hand with no more than two gaps, total, in the whole hand. For example, J-T-8-6 is a straighter, while J-T-8-5 is not. Waiting for straighters is defined as folding all non-straighters, which means folding 90 percent of group three. Like I said, lots of down time. I'll show you how to play Hole Card River in pot-limit Omaha. You can extrapolate from there how to play it during any of the mutants of Omaha. The object of Hole Card River is twofold. The first is to enjoy a gambly-type anticipation buzz without having to actually wager anything. The second is to train yourself to stay true to your preflop beliefs when you've become bored or unhinged. After you see your hole-card "flop," you are either drawing dead — meaning you have no chance to make a playable hand — or you have outs. If you have outs, it's possible to know precisely what they are, thus providing an acute buzz when you peek at your "river" card. If my first three cards are, say, , and I'm under the gun, then I'm drawing dead. I can't make a straighter, and I'm not playing that hand in that position even if I draw a suited ace or pair up. The hands that deliver the biggest buzz are when my first three cards would fit into the same straight, such as 9-7-5. The most exciting starting hand in Hole Card River is of course three cards in sequence, like 9-8-7. Such a bounty of outs! If I catch a queen, jack, ten, six, five, or four, then I'll have a straighter, and I'll likely see the flop. I'm also playing this hand if I catch a nine, eight, or seven. That's like, a million outs in this game. The anticipation is not only thrilling, but also profitable, by helping me hold the line. When my first three cards are 9-8-7, I know I'll be mucking if I catch a king, suited or not. That way, when I do catch a suited king (or any other near-miss card), I don't mindlessly think I have a decision to make. I just fold. What if I don't buy into WFS? If waiting for straighters is too strict for you, adjust to taste. Before you look at your last hole card, formulate some idea of which cards will result in a sure fold, which cards will result in definitely not folding, and which cards will leave you in an "it depends" situation. Then see if you can stick to what you decided. The point of this exercise is to fold the hands you think you should fold. I'm talking about the end of leaking, which also means more folding. So why not play a game that builds discipline, to while away the waiting? World-class coach and author Tommy Angelo is now offering poker pain relief to everyone. You can schedule a call to talk to Tommy about bad betting, bad quitting, bad tempers, or whatever else is hurting your game. Just go to tommyangelo.com. Angelo's first book, Elements of Poker, was called "the seminal poker text of the 21st century" by The London Times, and it has revolutionized the way serious players approach the game.